Some impact weapons offer more reach than others. Sure a flashlight can be used as a bludgeon but it requires getting much closer in on an assailant than a baseball bat or baton that can keep harm literally at arms length! An electrical energy weapon is one that relies on electricity to incapacitate a perpetrator. These weapons are very inexpensive now. You need to be sure to exercise some caution to avoid shicking yourself. Using these near someone’s heart can be dangerous. If you have ever been shocked by an electric fence then you know it is not pleasant. Energy weapons are extremely painful. The ones available to the public often require you being very close to someone in order to use it. Electric batons or cattle prods are good if you want a shocking weapon that keeps attackers further away from you. Having some extra reach could save your life if someone has a lethal weapon. I kind of love this design. Enter the game changer in hand to hand combat! While this requires getting more up close and personal it definitely will make any blows you have to throw stunning to say the least. At under $30 this is budget friendly and it also doubles as a LED flashlight. 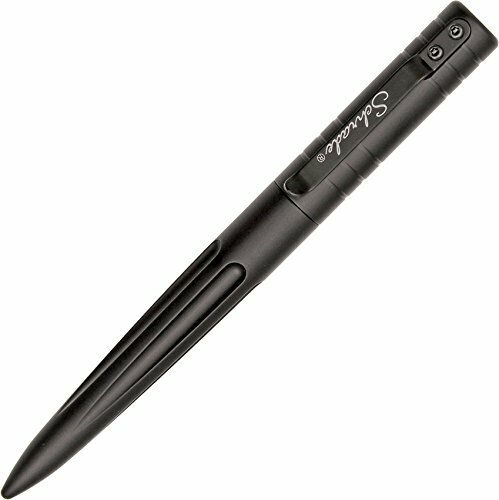 For those that want a very discreet stun gun, this is about as low profile as you are going to get. Just make contact and squeeze and then get away! A lot of attackers will never see it coming due top the slim profile and how well your hand covers most of the housing. The battery is totally rechargeable with a standard wall outlet. A convenient carry case helps keep it discreet. An impact weapon, flashlight, and stun gun all in one is kind of impressive. No one will even know that you have anything but a common flashlight unless they look very close. You have to admit that this solid built aluminum alloy flashlight offers a lot in a lightweight package. A belt holster makes it easy to remember to carry when needed while a charging cable saves money on batteries. 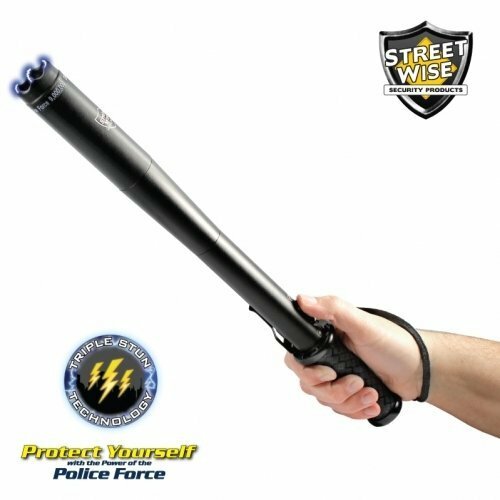 The heavy-duty aluminum body of this baton makes a great bludgeon while the end of the baton packs a 9,000,000 volt stun that will incapacitate attackers. I like that this weapon combines two defenses into one. The wrist strap is a nice touch that helps you stay in control during a combative situation. 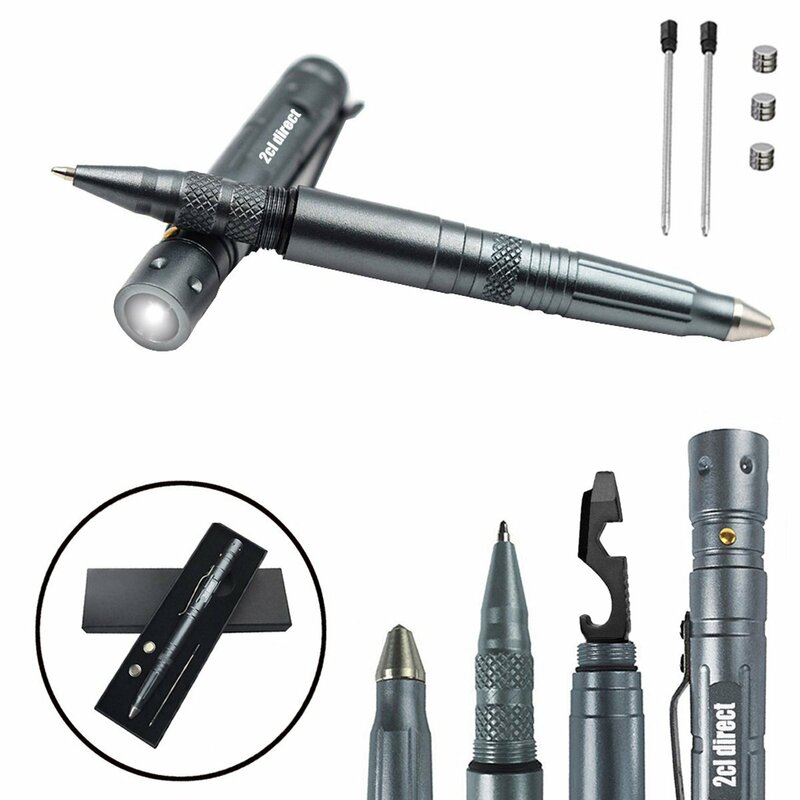 This baton is also a 3 watt LED flashlight with 5 different lighting modes. You are allowed to carry tools in case of a flat tire. This is one of the best weapons that a lot of us have in our vehicle. A metal pipe can be a lethal weapon when used in a specific way. 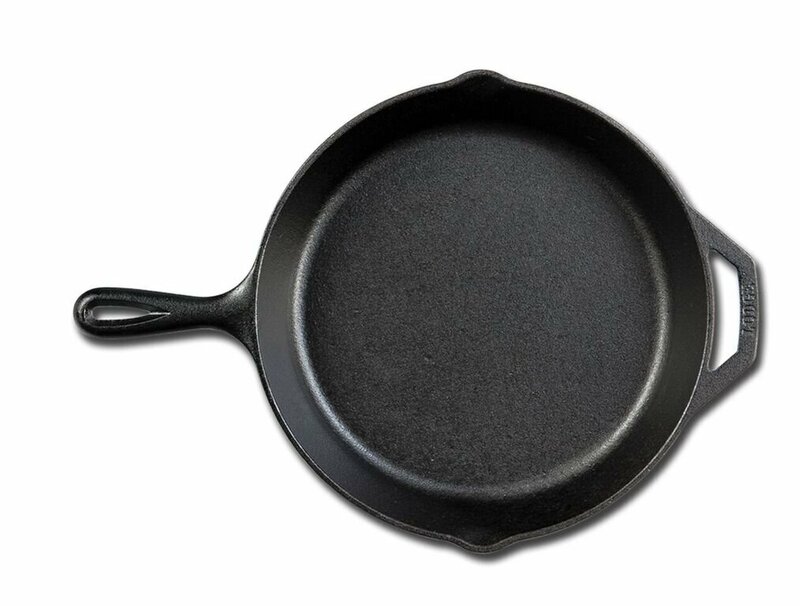 For many generations, cast iron frying pans have been looked at in two ways. One is a symbol of delicious food where the other is as a bone-shaking clobbering device. I am going to tell you a story that was passed down among my very Southern family. My Great Uncle Garrison has a daughter and back in the 50s, she found out her husband was being unfaithful and laying out drunk all hours of the night. Well, one morning she had enough but she had a plan. She was as sweet as could be and made him a big old breakfast of cathead biscuits, gravy, side meat, eggs, you name it. He was settling in she came over to serve him and poured that whole cast iron pan of gravy right on his head and then clobbered him with it. She knocked him out and they were divorced soon after. She is lucky she did not kill him to tell you the truth. A cast iron pan weighs a lot if properly made. I have a Lodge frying pan that weighs 10 lbs easy. I recommend the standard 10” Lodge frying pan for maximum impact without being so heavy you can’t swing it or bring it down properly. While your keys themselves can be a weapon, there are some neat keychains that double as weapons. I kind of think the “My Kitty” is about as cute as a weapon can get and no one is going to think it is a weapon! You can get a bulldog version if cat’s are not your thing! The screwdriver is a good weapon for pretty obvious reasons. It is essentially a shiv and those can actually be deadly. Like any weapon how it is used and where it is used is critical between lethal and non-lethal defense. A screwdriver only costs a few dollars and you very well might have an extra one anyway. Having a glass soda bottle is not anything anyone will question. There has been at least once that I can remember buying and drinking a Coke in a big glass bottle just in case. I have to say that you need to realize that bottles are harder to break than you think. A bottle can be used to smash at someone but it can also be broken and the jagged end used as a more lethal weapon if the situation becomes too dire. Cuts from bottles are horrible. Don’t underestimate the potential of a mere bottle. With so many people eating away from home, a fork is not considered a weapon at all but it can be formidable. You can use it to scratch and jab. My husband was told this by a man that had been homeless and did not want to get hassled for carrying a weapon if the police if questioned for anything at all. There are a lot of flashlights out there that are made with self-defense in mind. These flashlights come in all different price points with plenty of very good ones being no more than what you would pay for a flashlight at Wal-Mart. Some lights have oddly shaped barbs on the end but also have very bright lighting features like a strobe function that can help incapacitate someone if shown into their eyes. I think the tactical end of this flashlight has a lot to be said for it. The shape goes a bit beyond the typical end with the double layer design. It is rechargeable which comes in handy. The included plug-ins allow for standard wall outlet charging or the use of a 12 volt or car system. It is super bright and you can zoom the light in or out. 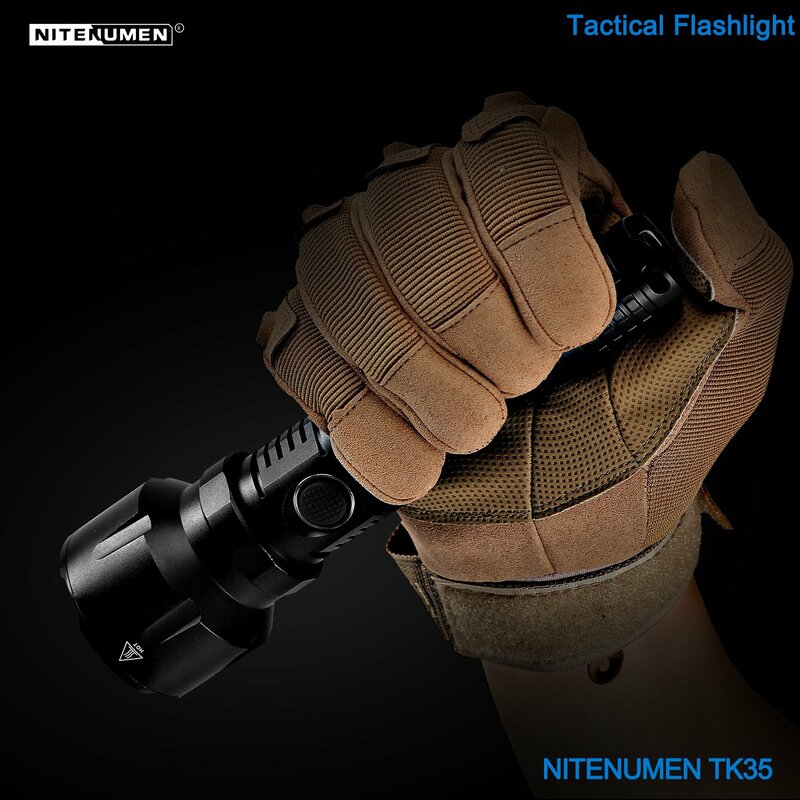 For those that want a professional grade tactical flashlight, there is this. I like the size of this flashlight. As a woman with big hands sometimes the smaller tactical flashlights don’t feel substantial enough to feel solid in my hand. This flashlight has a large bright beam and a tactical end to match! This one is also rechargeable. Aviation strength aluminum offers strength and durability. It is waterproof and the included battery pack can be recharged 500 times. The LED bulbs are rated to 50,000 hours. When people think of non-lethal weapons, pepper spray or mace as it is sometimes called is one of the first things that comes to mind. It is easy to conceal, can be bought with ease, and it is very effective when used appropriately. One thing that you have to remember is that pepper spray can backfire on you if you don’t think things through a bit. If outdoors the direction of the wind at the time you spray may cause some to get in your eyes. 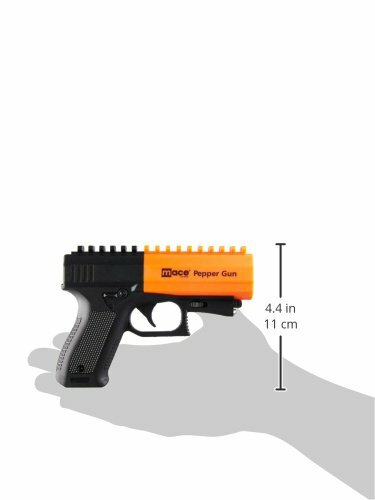 Pepper spray guns allow you more distance but you need to be able to hit your target. Those that are not the best at shooting should probably stick to the standard bottled pepper spray. State laws can vary but I believe you can also buy mace when you are 18 so it is an effective weapon if you are too young to have a handgun. 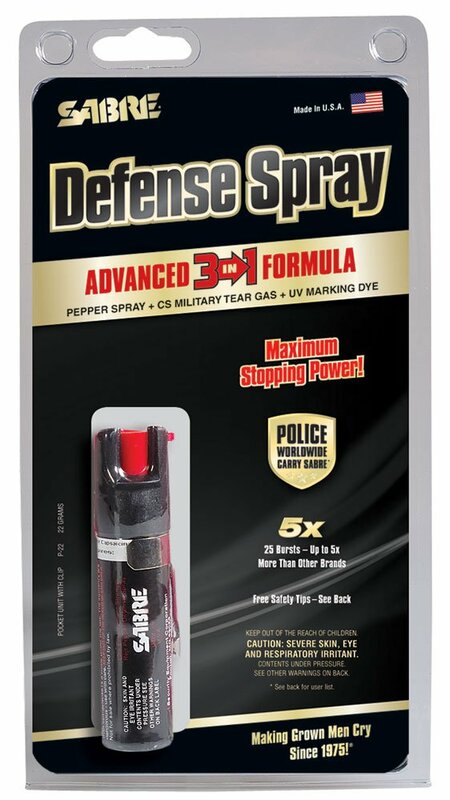 This is an affordable can of pepper spray made in the United States. 25 bursts is a lot of spray in a small package. This is so inexpensive you may want to buy two to have a spare or one to stash in your vehicle. This pepper spray gun comes in at under $50 and is refillable. With a range of 20 feet, it offers some comfort distance. There are pepper spray guns that will shoot a greater distance but they cost more. 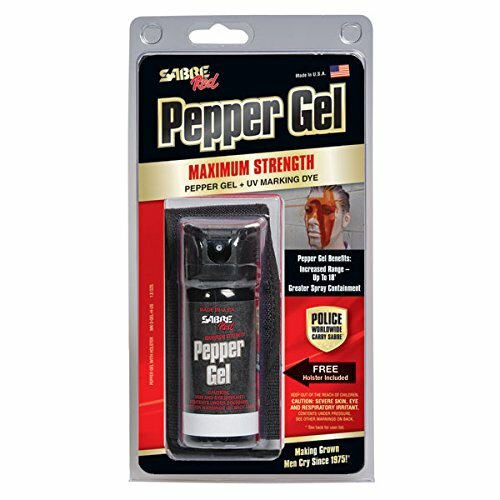 Pepper gel has some advantages over traditional mace because it doesn’t disperse in a mist that can go everywhere. This gel is easy to deploy and it dyes an attackers skin with UV reactive dye that can help law enforcement find the person. For a very budget friendly solution to personal self-defense, it is hard to beat this spray. Keep one in your car, in a bag, and stash one in the all-important bug out bag. I found a lot of different variations of canes that could be used for self-defense. I am hesitant to recommend them to the general public because they draw a lot of attention. 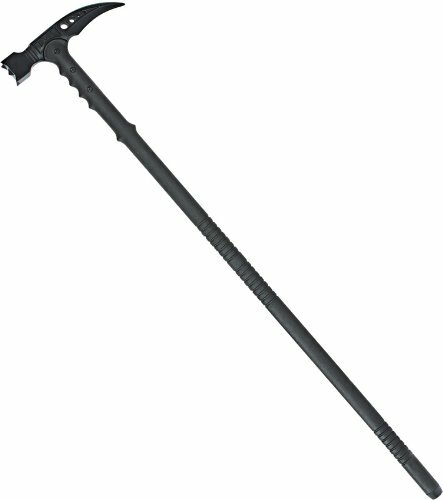 If you normally use a cane then I think you should consider one for self-defense. There was a time when men in London would carry canes because it was fashionable and made it easy to have a weapon without breaking the law. This is part of the culture that made sword canes an in-demand item. It goes to show that where there is a will there is a way when it comes to weaponry. Just because something is outlawed or becomes hard to find doesn’t mean that people won’t find a way to have a weapon. We have got quite good at it over the years. This is kind of a neat looking walking stick but it is also a weapon that I would not want to be anywhere near. The clawhammer style head and the heavy duty materials mean that this is going to last. The stainless steel body and fiberglass reinforced handle combine durability and performance under trying circumstances. United Cutlery is a well known and trusted brand with a loyal customer base. Ah – the multi-purpose cane. This cane has a built-in LED flashlight and the ability to release 1,000,000 volts of stunning power. This sturdy cane is made to support users up to 250 lbs. A built-in rechargeable battery pack charges off a standard household outlet so you can keep your cane topped off and ready to go. A lot of people think about guns or maybe knives being the only weapons you can get in trouble for concealing but that is not true. 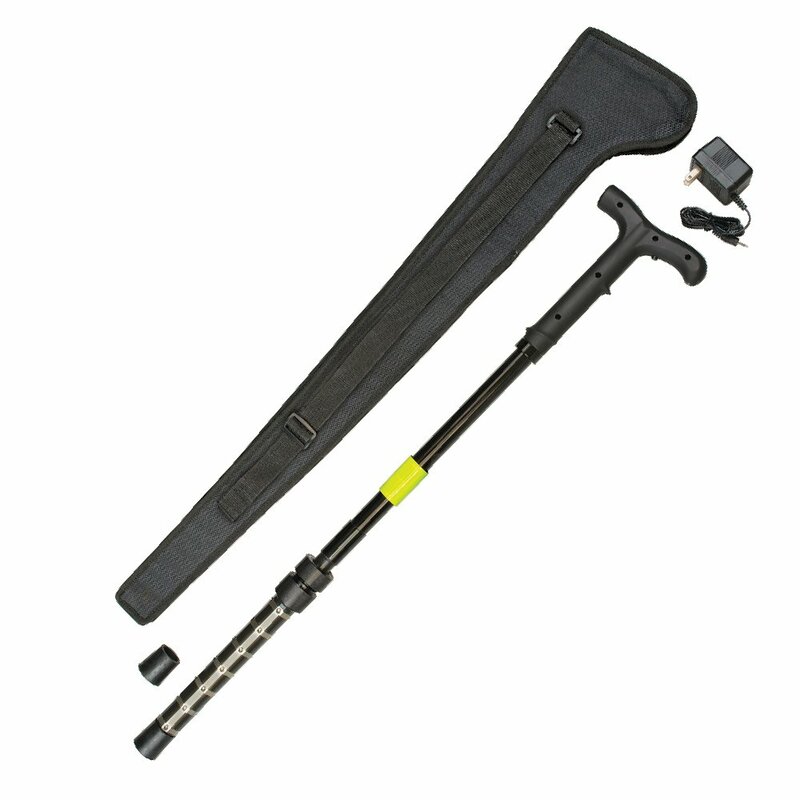 Having a collapsible baton concealed in your car but within reaching distance while you are driving could be considered a concealed weapon whereas having a tire iron or jack handle, or screwdriver would be overlooked because they are technical tools that could be part of your car kit. Plenty of people keep a few tools in their vehicle because it is the smart thing to do. Tasers and other weapons could also be considered concealed. It is important to realize the laws and rules that the state imposes so you can know where the line is drawn and how to avoid the wrath of the state. There is no one perfect weapon for every situation. There will always be disadvantages and advantages to any weapon. You may find that you want a combination of different non-lethal weapons distributed throughout your life. A defensive keychain, tactical pen, or tool based weapon may be fine for work or going to town but you might want a more serious or larger weapon for keeping near the door to your home or in your bedroom. At least if you feel you need more than one, there are very affordable and quality choices. I am sure that I am missing a lot of other weapons that would be effective and good for the average person to consider. Please feel free to add any that you know of in the comments below! It would also be good to hear any lessons learned from anyone that has been in a situation where they needed to use significant non-lethal force. Yet another great article Samantha! I like having alternatives other than lethal force. Road flares. Specifically the type that are made to be held, similar to a hand held marine signal flare. You can have it in your car with no questions. A 4000 degree chunk of burning magnesium that lasts for 10 minutes will stop a determined dog or other interloper. We are a Deep South family and talking about Cathead biscuits makes me very hungry. The Cold Steel baseball bat is a great idea. I’d like to see a less aggressive name than “Brooklyn Smasher”, though. Perhaps “Home Run Hero”. Always carry a ball and glove next to it. In Switzerland it is illegal to carry a bat in your car unless you are a registered member of a baseball team. How many of those could there be in Switzerland? Unless you had the pepper spray in your hand, I’d think it would be awkward to draw and aim under pressure. The pepper guns would seem to be a better idea, but they are not that common. As for tire irons and the like, aren’t those usually kept in the trunk, out of reach? In most places the authorities are negatively disposed toward self defense, and would not look to favorably upon a claw hammer sitting on the passenger’s seat. In the small car, we carry a jack handle for F5/F16. Not easy to find as built; but easy to replicate: it is 4130 seamless extruded tubing. Ductile yet with high tensile strength; very light,and handy, it travels enveloped around the breaker bar we use for a lug wrench…a completely legitimate tool…not a weapon. So if needed; I can fill both hands…one legitimate tool in each…and yes, I’ve never had to do violence of that type and hope never to have to…but that 4130 just doesn’t tear apart. You could shatter an ash baseball bat with it and it would just dent. As a life-long martial artist and street kid I have advised the following for years: you are in town being followed and under threat. You are unarmed. Enter a hardware store or home despot. Now you are armed, on camera, with witnesses. They will wait for you outside. Someone with this new thing they call a phone will call the police for you. They will scatter. Or not. You emerge from the store with twin drywall saws; one in each hand. That’s twin spring-steel 7 inch blades with jagged teeth and a sharp tip. Does the theoretical thug have a fancy knife? Would be really and truly like to dance? So it is illegal to spray someone in the face with wasp spray? It is also illegal to crush their skull in with a baseball bat. Besides I prefer hair spray – and a bic lighter. I have given a woman friend of mine a 5 D-cell Mag-light for her car. This is a very useful size flashlight to use in shelf defense. 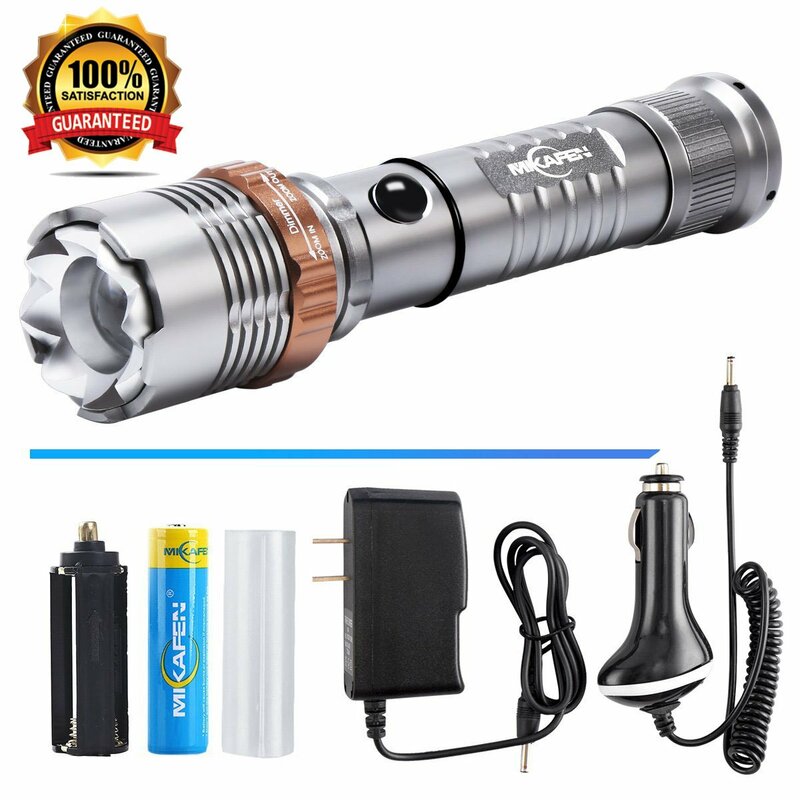 The LED light is very bright and blinding in the dark and the body of the flashlight is long enough and heavy enough to deliver a good impact. Never forget an ordinary walking cane. It can be taken anywhere whereas many of the mentioned items cannot.